Boxing Day in Canada Falls on December 26th and is a Public Holiday. The day after Christmas, December 26th, is a public (or, statutory) holiday called Boxing Day across Canada. This means it is basically a day off for everyone and if you have to go to work, you should be paid time and a half. Several theories exist on how Boxing Day got its name. It may come from a tradition in the U.K. in which household employers boxed gifts for their servants. One thing is for certain, the name comes from storage boxes, not the sport. However, you may witness enthusiastic shoppers coming to blows over Boxing Day bargains. Boxing Day like the day after Thanksgiving, Black Friday, in the U.S. is THE big shopping day in Canada. 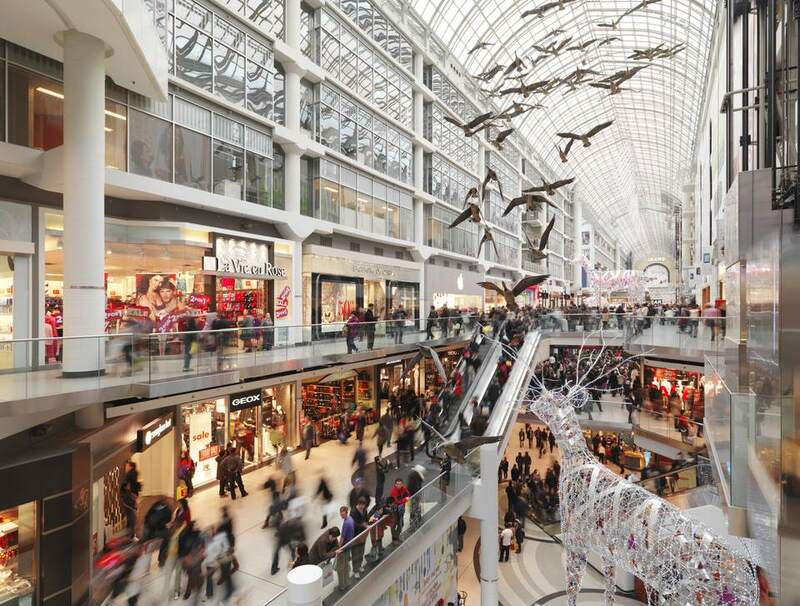 Stores, malls and most retailers are open and generally continue till New Year's. Many, but not all, restaurants stay open to feed hungry shoppers. Some of the most popular items include electronics, Christmas decorations, appliances, children's toys, and winter clothing. Participating Canadian retailers include Best Buy (technology/electronics), Michaels (crafts and art supplies), Walmart (stuff), and Winners (clothing). But any store open Boxing Day will have a sale. With the advent of online shopping, retailers now offer Boxing Day savings in advance of December 26th and continue sales on until the New Year. Kinda takes the thrill out of the actual Boxing Day event, but people show up en masse nevertheless. What Does Boxing Day Mean for Visitors? Banks, schools, government offices are closed. Stores, malls and retailers are packed. Grease up those elbows and arrive early for the best Boxing Day deals. Call ahead to restaurants or tourist attractions to confirm holiday hours, but most are open. Public transportation probably runs on holiday schedule.